I will throw that thought in the air here. Abrams and it's other version, are 1shottable huge boxes, that doesn't have any huge advantage over other countries top tier vechiles. Light tank M551, is slow, weak and does not have anything to make itself as reliable asset. Only thing USA shines with, is its CAS, but even that is not OP, due enemy side, very effective spaa. And i'm not starting flamewar. It is the current picture, that i see, playing USA tanks. Not talking about 4 very well practiced teams, but solo, random match people. you sadly are completely wrong. the abroomz are incredibly agile, have armour that often matters and an internal layout that ingame ensures maximum survivability. yes, they can be oneshot, but everything ingame CAN be oneshot. its a fact that abroomz survive far more hits than any other tank around top tiers. why should the M551 be the only viable light tank for 'murrica? they can easily make use of M41A1, T92, M56, M50, they can even make use of a hellcat at top tiers! the glorified M3 Bradley is a placeholder? its in no way worse than other nations IFVs! no tank destroyers? as i said, even a hellcat is something viable at top tiers (if you get to their flanks) and what makes you say "'murrica needs top tier TDs"? i have been playing 'murrica and the abroomz for a while now, and i have to say that the US and A simply are in total stronger than any other nation. the abroomz at the current time do not even need the M774! and people cry for far better ammo while its not needed. the abroomz are perfect "Jack of all Trades" with the insane advantage of having the best gun handling of all tanks as well! whenever i played my Leo2a4 or Chally, the guns were inaccurate. shots didnt land where i aimed at or did no damage. the m735 on the other hand lands almost perfectly accurate on every single shot. its far more accurate when stock than a spaded leo2a4 or chally - which both are far easier to kill and deserved better ammo for that drawback, which sadly isnt of any use, as (especially) stronk russkie tenks (which their shells were designed to defeat) ignore their shells most of the time. but when playing an abroomz you can easily snipe a T-series weakspot with much greater reliability. The topic is not, what can you use from reserve tanks to put in use in top tier game. I never asked for buff in my post! I just want to state, that usa tree is not as OP as ppl claim it to be. it still is the strongest nation in the game - there is no way around that fact. and the viability of lower ranked tanks in top tiers is another strength of 'murrica which just shouldnt be discarded that easily. you can look at any aspect for lineups, and you will always see the US and A in the top spots, and this all-round capability is what makes that nation so strong. many people say the Type 90 is a better tank than an abroomz and that may be true. but in the type 90 you dont have an equal backup, or comparable CAS. this is the real strength of the 'murricans. they dont need any buff (except a repair cost reduction) as they are the strongest nation by far! With your 9k battles, i am pretty sure, you don't have all trees grinded to the top. USA at top tier is overpowered compared to other nations. Not only they have way more vehicles available that fits the current META and benefit the most from our current game mechanics on the ground but they also have the best available CAS at top tier. All that combined results in USA suffering no competition at high tier at the moment. So , if other nations would have same ammount of vechiles at that br, USA would not be overpowered? You seem to be think that 70% winrate made by incredible lineups is not OP no matter the stats of each individual vehicle. I won't say youre stupid because youre not, but youre ignorant. And your statement about abrams beinng a box of ohk, is wrong, they are the most survivable tank in game (post pen). And the abrams m1p is the most survivable tank in game because it has the survivablilty post pen and armour that works against most tanks expept for top tier apfsds shells from top tier tanks. While US is not op in 8.0, they are OP in 10.0 and there is nothing you can really argue about. If soviets had the same winrate in 10.0 this community would pitchfork charge gaijin HQ and bathe the staff in tar and roll them in feathers. But because its US this time and not soviets the community remains rather calm for some reason. sure you can die in an Abrams. Sure you can get one shotted in an Abrams. But as soon as you put the same effort in playing an Abrams as you do while playing a 2a4 or maybe T-80, you get much better results. Combined with the US CAS monstrosities, the US only can be stopped with luck or supreme team play. It's like always. Easy to play vehicles attract bad players. This caused the US to suffer extremley when the xm-1 was released. Hordes of top tier newbies appeared and died miserable. While in the meantime Gaijin buffed the soviet top tier MBT to an extent where their ammo carusell basically was incinvible to ciunter the dominance which became also ridiculous and ended in a huge amount of comedic youtube videos. Still tho the Abrams is a immense forgiving tank to play and if you die in one shot it's more bad luck than anything else. US is still the BEST, but no longer OP like it once was. It has mostly to do with the opposing players having learned to counter the Abrams by using their strength. For example, T-80 players can engage the Abrams at longer ranges with a mixed use of APFSDS and HE-FRAG, while making good use of its armor by hiding the lower hull. US/UK team always lose 2-3 Abrams in the first minute from this. The T-72 is also a better late-game backup than the MBT-70 or Chieftain Mk.10 US/UK would use. So US team used to have many players in type 1 and 2. However, now they compose less than half of the team, with the rest made up of type 3 plus a few type 6. This drags down the average "combat ability" when facing enemies like type 4 or 5. With UK top tier still usually teaming with US, my recent win rate is ~53%. US hasn't got 70% win rate for very long. On the last discussion over Reddit most people give around 55-62% win rate for the Abrams. I believe it differs between time zones, but nowhere near 70%. IT-1 and IS-6 used to actually get 70% win rate when they were new (Obj.906 was close). The community wasn't any more enraged as they are against US now. And the T-54 1947 had 60%+ for a very long time when it was 7.3. The T-80 doesn't brawl as good as the Abrams, but on longer ranges it has immense advantage at having great armor, small silhouette, powerful rounds and a missile. On the common Eastern Europe map, the US team always lose a few Abrams from the first 1 min by T-80 snipers. The Abrams can break its gun breech and force it to retreat, but it cannot kill a T-80 frontally at 1500m+. The survivability is overrated, because when if you survive first penetration, you are likely crippled and the enemy can just finish you off. The difference between AH-1Z and Mi-35M is also very overrated. With enemy jet fighter up, they both die. Without enemy jet fighter, they both spam 16 missiles and wipe out half of the enemy tanks. With the helicopter HP buff they do not even go down after eating APFSDS. People make the Abrams look like some indestructible super weapon, when in real life it is just a little better than the rest. To get a real taste of "OP", you should try go back to the old days when the top US tank was M46 (no HEAT), and you had to fight against the IS-3 which you could only pray to penetrate on the lower side between the wheels. That was "OP". It could actually drive you fear. I never said the T-80 is bad. Actually I always was one of the guys who said that the soviets have a quite decent tank line up at top tier. It's just that these tank doesn't work perfectly fine when players try to compete on Abrams turf. Not even the 2a4 is able to do this. And I fully agree with you that the t-80 or t-64b with add on armor is a lethal threat. Sure. But the soviets don't have a FJ-4B and so don't the germans or japanese. The US is what it is currently at top tier because of the combination of immense strong MBTs and by far the best CAS line up. the US only can be stopped with luck or supreme team play. Then this luck happens like in every second battle. With THIS i can totally agree! IMHO , like 90% of times, when it's UK+USA vs RUS+GER+(ITA or japan or FRENCH), It is USA+UK lose. I have not bothered to count, but this is how it feels like. US is arguably OP at 10.0, that's it. Germany dominates the 8.7 BR range. Yeah i was outdated i see. but its still very powerful. IT-1 and IS-6 used to actually get 70% win rate when they were new﻿ (Obj.906 was close). The community wasn't any more enraged as they are against US now. Yeah, but then they were either nerfed or moved br. Abrams cannot be really artificially nerfed or moved. The difference between AH-1Z and Mi-35M is also very overrated. With enemy jet fighter up, they both die. This one is interesting, because if a US player spawns a fighter he will 100% of the time have CAS capacity on top of the fact that he will counter every helicopter. If a soviet player spawns a fighter he will only have CAS capacity if it is a mig-15 or a mig-17. I spawn the il28sh sometimes but its too slow and vulnerable towards other fighters. But has the best cas capacity in the entire soviet air techtree plus is the doom for helicopters. US has the best CAS planes and helicopters, its just that, thye outclass every other country lineups generally. As for the soviet t64B, T72 and T80s, they are better at long ranges, but in the end the normal teams of soviets will get outflanked and rushed down. OR they just loose to ticket bleed because everyone is sniping and ignoring caps. While it might feel like it, its not a really good way to put an argument. humans have a VERY bad sense of whats going on in the bigger picture, we are VERY bad at estimating procentage accordingly to what we experience. Because we are human and not computers, what we feel will almost allways be wrong. You seem to have a way to find such a data. The burden of proof falls on you considering you pulled figures out of your ****, and he just pointed out that feelings are unreliable, statistics do not lie. He's not claiming you're inherently wrong or not, he just pointed out your argument is terrible, which it was. but even that is not OP, due enemy side, very effective spaa. not effective enough, due to the limited range, they have. but sadly, we do not have access to these kinds of vehicles. 48 percent win rate is domniating? IMO a spaded T-80B is better than a equally spaded Leopard 2A4 in the game. Its armor is very consistent without the odd weakspots like the Leo2 mantlet. And the smaller size really helps at longer range or dodging ATGM. I rare see FJ-4B, or any jet from US/RU anymore these days. Seems like everyone spawn the helicopter as it takes less spawn points and is often more effective. ATGM Helicopters are simply too cheap and good for CAS, people rarely use jets anymore. That's why when I spawned a Meteor while our team was losing, it scared the hell out of the enemy helicopters and I got 4 kills in a single run. Helicopters got that buffed fuselage hp lately, but it still stands no chance against close range 20mm spray. I have observed several matches and found it to be quite the opposite. US players are less willing to rush now, as they know a T-80 round will hit it and pick it off within 1 minute of game. Players do not like it, so push slowly without using their speed advantage. On the other hand, T-80/T-64 column will push forward at normal pace while looking out for flank. On our losing games, US/UK team never get to cap over 1 flag from the beginning, and we know who is better at defending flags. Recap in these cases is only possible if someone spawn helicopter and soften the enemy defense. Location:Universe A, Milky Way galaxy, Northern quadrant, Earth. Abram's by itself is not OP, it actually has enough drawbacks technically to make it be considered balanced. Again the issue is that the META(CQC) favor's the Abram's strengths overwhelmingly while being able to ignore quite a few of its handicap's like being poor at hull down sniping, a lack of penetration, and frontal armor protection compared to the Soviet's. Abram's has amazing reload, amazing maneuverability, top tier gun handling, and is unmatched in survivability which trumps armor in top tier. Combine that with the fact that the U.S can bring not one but two of the things along with the best CAS and the best helio, second best AA, an IVF, along with the best 9.0 and very competitive premium(XM-1) just makes the U.S overall superior to any other nation. I have to disagree with that statement, a 2A4 is much better in close combat situations which most maps are and it also does not just explode the moment it gets penetrated. Armor means little, survivability means a lot and unless you bring ammo in the hull the Leo is just better in such situations. The Soviet MBT's are great at sniping and it gets even better if you can go hull down but I always become hesitant going into close combat because all it takes is just one side shot to have my turret fly off to the moon. I play mostly Germany and what annoys me is the helicopter spam.In 80% of cases i die because of a helicopter.This spam should be tuned down a little because in a game like this players are less organized than real life .In real life a tank column would have a spaa unit among them.In game everybody spawns a tank first . Maybe the Abrams is a little better in game than other tanks but I don't consider that to be a problem . If you're not complaining about the "OP" the US is, you are going to be ridiculed for it. From personal experience of both playing and fighting the US in top tier, everything that is said about them by these babies is completely overblown and dramatized. The Abrams isn't OP at all compared to its contemporaries. In fact, the Abrams is on the lower half of 10.0 tanks by choice, nearing Leopard 2A4. The Type 90 and T-80B have significant advantages over anything the US can throw on the ground. So basically, all of the major players the Abrams fights. Indeed, the Abrams does not need better ammunition to be effective. - Leopard 2A4 doesn't need DM23 to be effective. - T-80B doesn't need 3BM22, 3OF26, or 9M112 to be effective. - T-64B doesn't need 3BM22, 3OF26, or 9M112 to be effective. - T-64A doesn't need 3BM15 or 3OF26 to be effective. - T-72A doesn't need 3BM15 or 3OF26 to be effective. - Type 90 doesn't need JM33 to be effective. - AMX-40 doesn't need OFL 120 G1 to be effective. 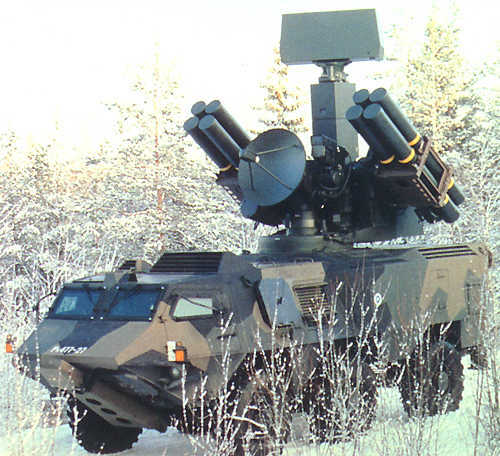 - Centauro ROMOR doesn't need DM33 to be effective. And so on... you get the picture. Essentially, they have given the burden of "git gud" to the Abrams with its 8.7 performance APFSDS (9.3 if you count M774) and tell it to aim for weak spots. But... why don't other countries get the same treatment? Why do all the other tanks get access to significantly superior ammunition to the Abrams? M833 would not be nearly as game breaking as people think. The correct penetration values for that specific round would give the Abrams on-par penetration to the DM23 shell on Leopard 2A4 (in fact, slightly worse than DM23). It would still not hold a candle to DM33 or OFL 120 G1. It would still have significantly worse flat penetration than 3BM22. Would it change the dynamic of how the Abrams plays? No, not really. But it's something that should be in the game right now. Every other tank is using newer and better ammunition. There are so many shills whining and complaining about how hard it is to kill the Abrams... which is entirely a L2P issue from the start. There are many tanks in this game that are difficult to one-shot. You'd be surprised on how easy it is to actually penetrate and deal significant damage to the Abrams. And the way I see it, if the Abrams is expected to aim carefully with its laughably outdated ammunition, then other countries could stand to receive the same treatment with their ammunition selections. But that doesn't pander to Gaijin's agenda. From my experience it is far easier to kill a Leopard 2A4 than a T-80 or T-64B. Note that I know the weakness of my Challenger so I only attack when enemy is looking other way/just fired. For Leo2 just one or two free L23 to the mantlet or hull and it is done. First shot wipes out gunner + some other crew and second shot finish off the rest, I do not aim for ammo anymore as crew dies 100% if hit. Against T-80... I will try to load L23A1 and shoot UFP if I have the chance. If not, first L23 will hits its gun breech (usually won't kill crew) and the second to its LFP. Then I would have a L23A1 to finish it off. It is possible to OHK by shooting very low on LFP, but it is unreliable and I usually play safe and kill the gun first. But against ATGM/HEAT Leopard 2 seems to survive better though. T-80 always pop after a helo missile hits.